Rep. Luis Gutirrez wants to extend the benefits of the Patient Protection and Affordable Care Act to undocumented workers. Rep. Luis Gutiérrez, a longtime proponent of immigrant rights, wants to extend the benefits of the Patient Protection and Affordable Care Act (PPACA) to the country’s millions of undocumented workers. In a speech on the House floor defending the proposal, the Chicago Democrat framed the policy in both moral and economic terms. “Doing unto others as you would have them do unto you means moving forward with no restrictions on which brother and sister and neighbor we think of as ‘eligible’ or ‘deserving,’ ” he said. 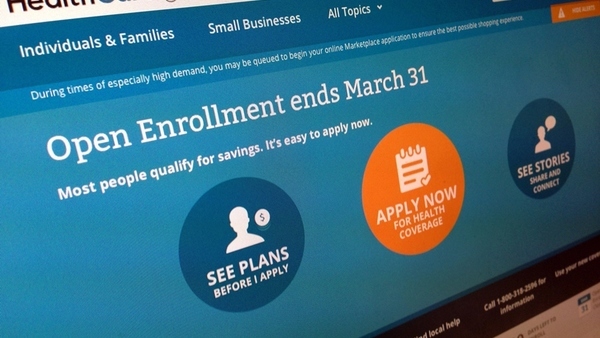 But, recognizing the challenges PPACA insurance exchanges have had in attracting young, healthy participants to cover the cost of the older, and more costly enrollees, Guitérrez also appealed to pragmatism. “As a nation, we all benefit when we spread the risk, require younger, healthier workers to join our exchanges with the rest of us, reduce the costs of compensating hospitals for caring for the uninsured, and decrease the number of uninsured who live and work here,” he said. A 2013 study estimated that 13 percent of the uninsured were Mexican immigrants. Currently, PPACA specifically bars undocumented immigrants from signing up for insurance on the state or federally-run health insurance exchanges. Gutiérrez’s bill would not only allow unauthorized immigrants to buy insurance–it would require them to do so, just like everybody else. In a Congress controlled by Republicans, however, Gutiérrez’s proposal is dead on arrival. In fact, Republicans frequently voiced concerns that undocumented workers would be covered by the PPACA in the months preceding its enactment in 2010. The concerns gained enough steam that President Obama took time during a Congressional address in 2009 to guarantee that his health care bill did not seek to cover unauthorized immigrants. While even Gutiérrez acknowledges that his bill has little chance of passage, he and others in support of greater immigrant rights see it as an opportunity to begin moving the debate in years to come. In addition, as Latinos and other immigrant groups gain influence as crucial voting blocs, Democrats seek to highlight the difference between their efforts to promote immigrant rights and much of the inflammatory anti-immigrant rhetoric that has come out of the race for the Republican presidential nomination, particularly from Donald Trump.